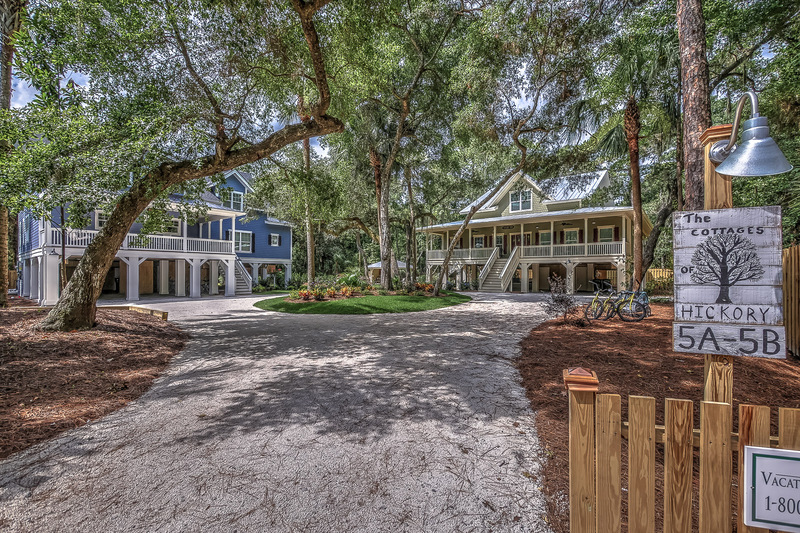 It’s all fun, sun, and games at this 5th-row ocean island treasure. 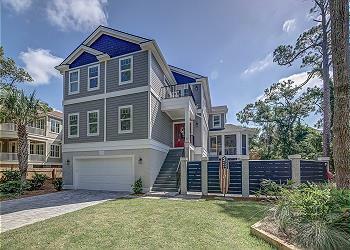 It’s nestled on a secluded cul-de-sac among swaying Palmetto trees and moss-draped live oaks. 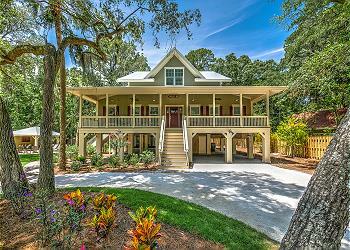 True southern hospitality from the large front porch welcomes you. Once inside, the first thing you will notice is the open concept living area, dining area, and custom kitchen. Just steps away from the living room you can let all your worries float away on the sea breeze in the expansive screened-in porch. 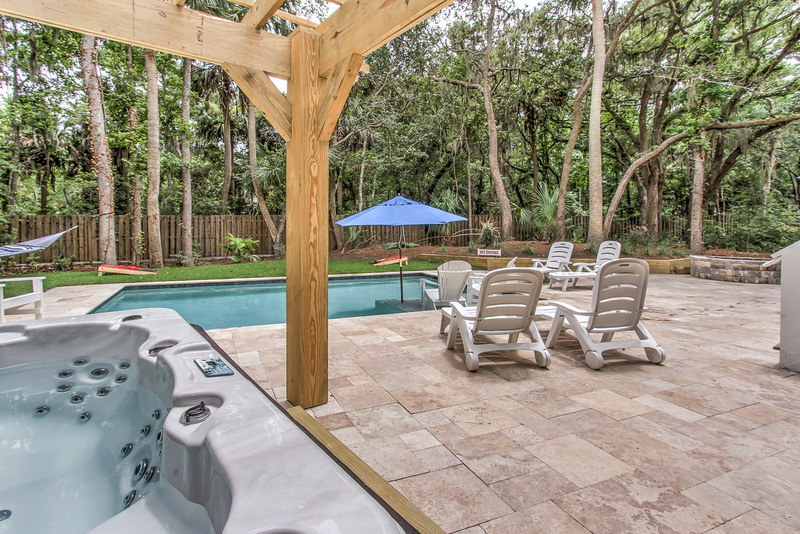 This overlooks a backyard island oasis with every possible creature comfort from pool and hot tub to stone patio with built-in fire pit to a hammock strung between two palms and another screened-in porch where you can play ping pong or watch your favorite game poolside on the 55” TV. Along with its cul-de-sac neighbor, 5B Hickory this is a perfect spot for weddings. Please inquire about having your wedding at these beautiful homes when making your reservation. 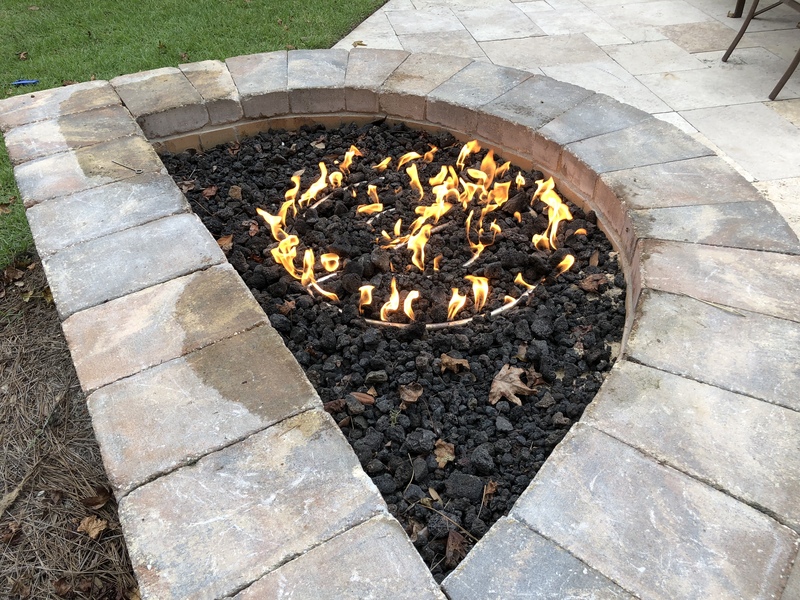 •	*Outdoor gas fire pit available for use upon request. $125 per week for propane for the gas fire pit.